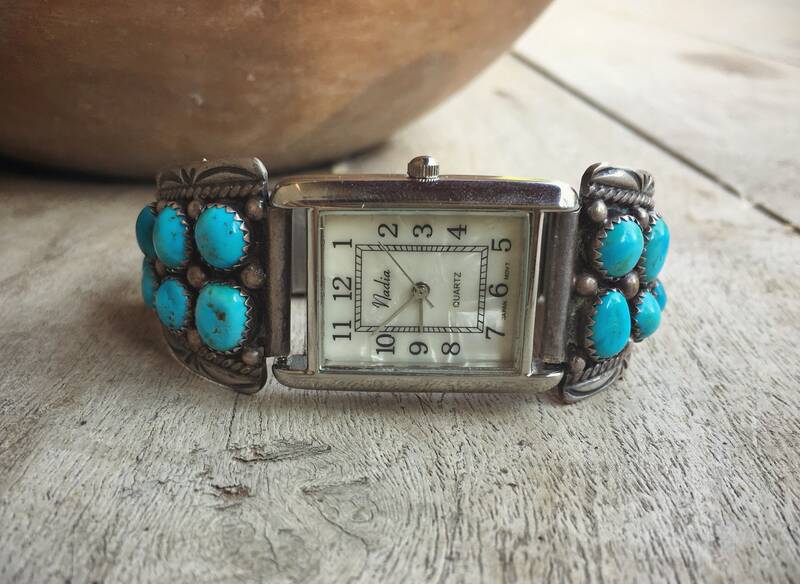 This is a beautiful traditional Navajo watch band made with the most luminescent natural turquoise, the color a creamy light blue. 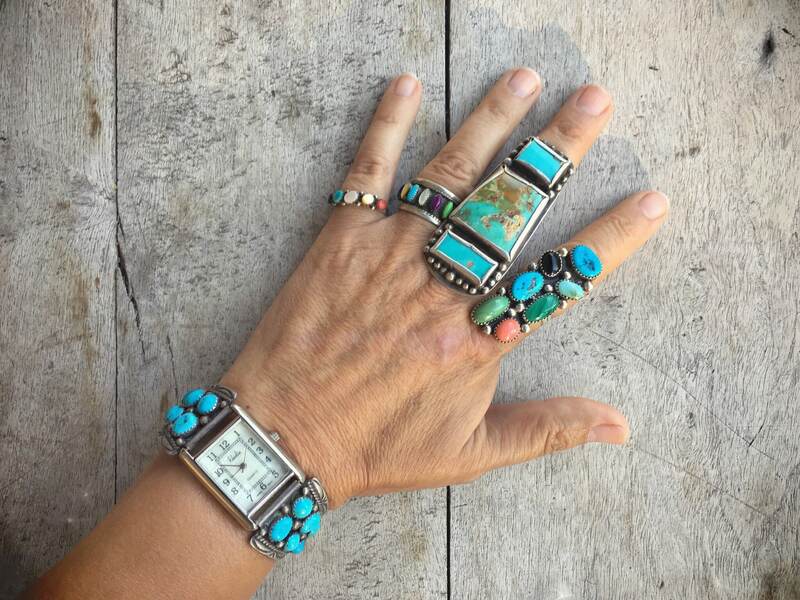 Like many pieces in my shop, the turquoise is high grade, American, and hard to find vintage. 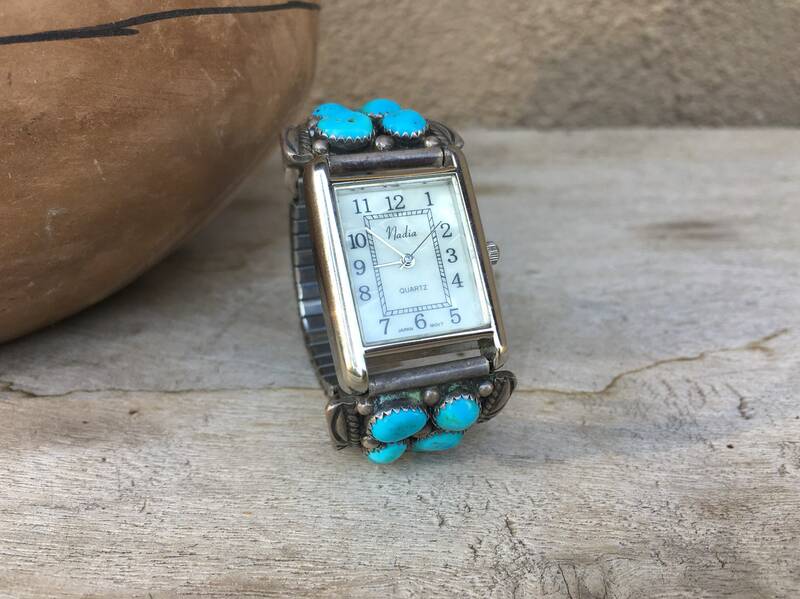 The watch is can come with or be taken out--the watch does have the back missing and my preference is to take it out and allow the new owner to put in a watch face that is to their liking. 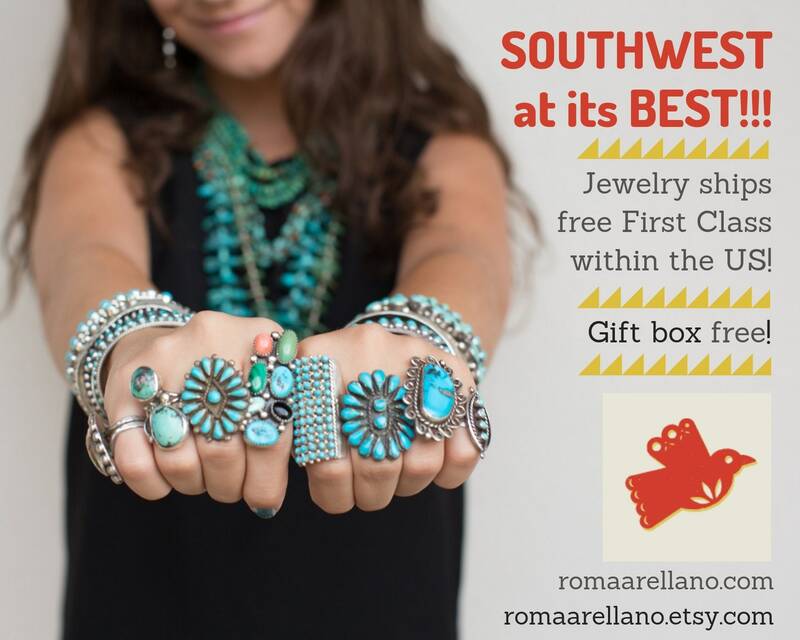 The tips are sterling silver and stamped borders, and in the center area the turquoise pieces are place in a cluster setting, graduated in size and interspersed with silver raindrops. 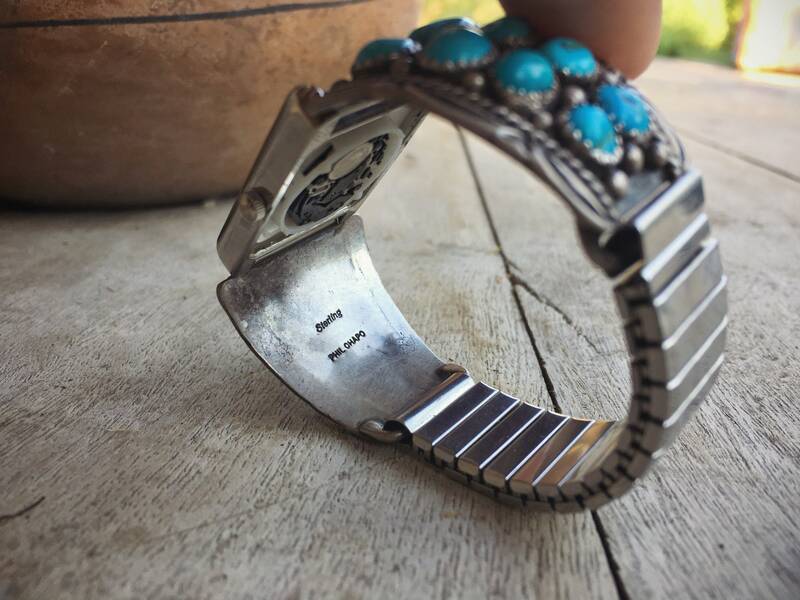 They carry the hallmark on the back of Navajo Phil Chapo. The widest part of the band measures 1-1/8" across. The tips each measure 1-5/8" long. 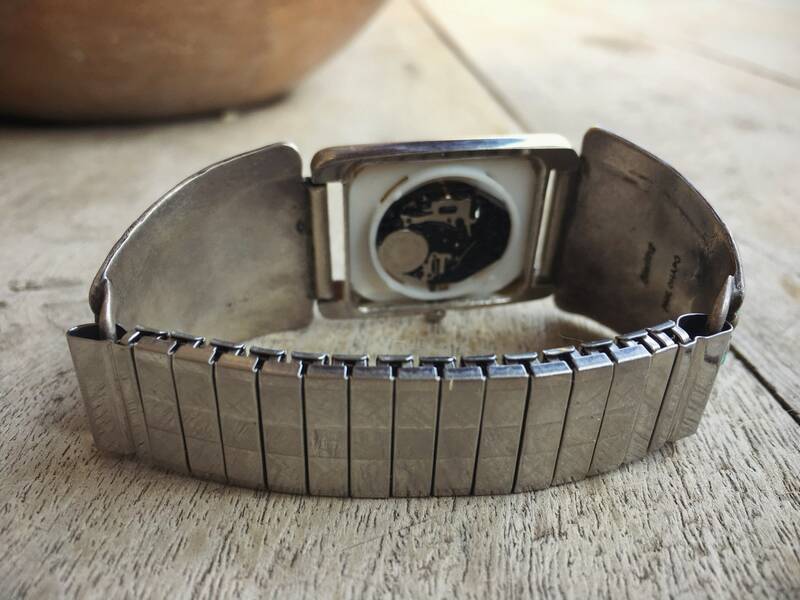 The stainless watch stretch is 2-3/4" when contracted. 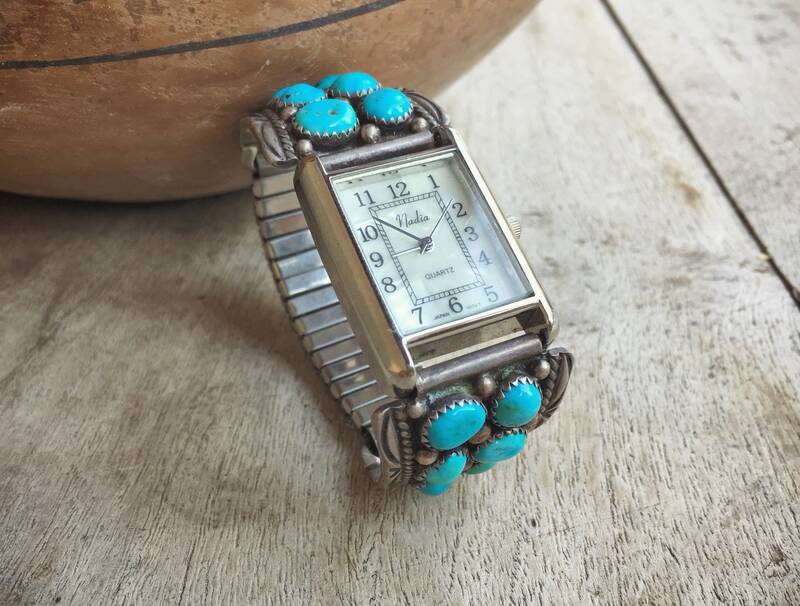 This watch band is perfect for a smaller sized wrist, such as the one pictured, which is 6-1/4" around. 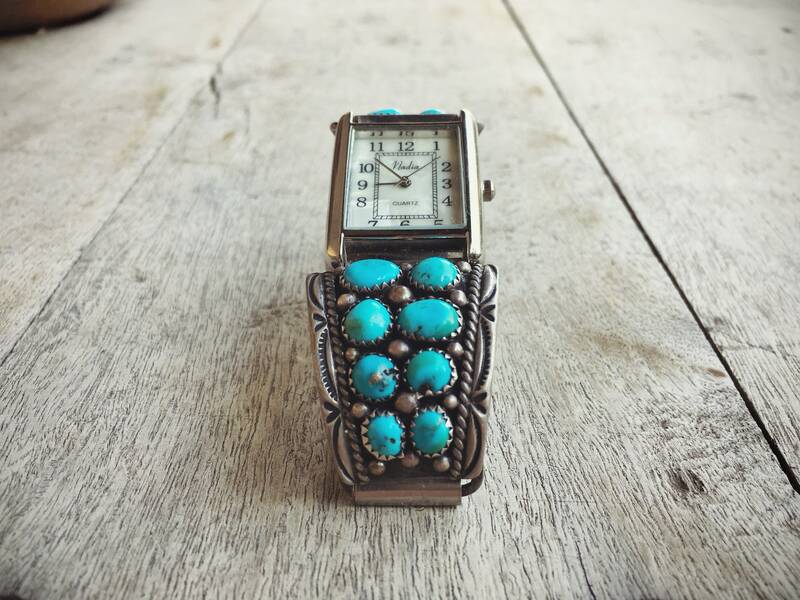 Again, I recommend we take out the watch face, as the back is missing. 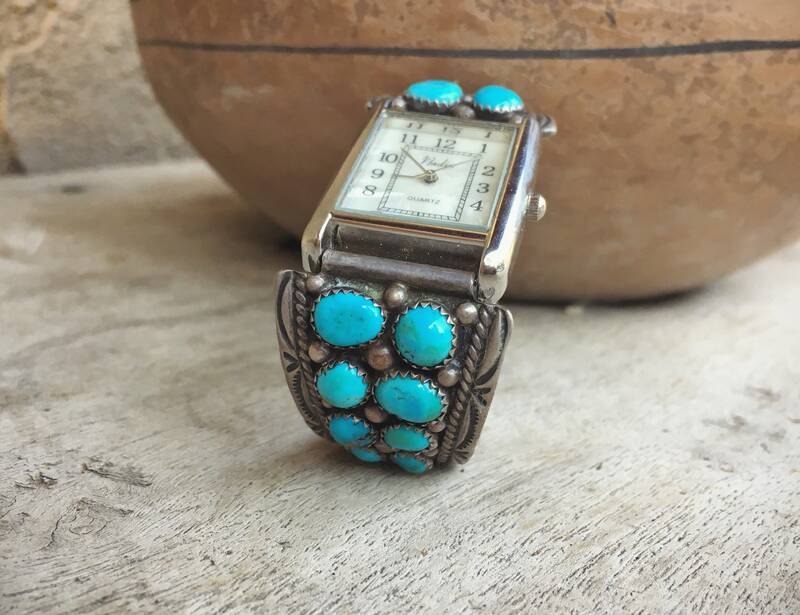 The watch tips are in good vintage condition.